You want your event to establish the right mood, introduce your message in a compelling way, and rev up your audience. No one wants to sit through a boring, uninspiring event. You can avoid the unbearable by using the experts at The Spur Group to organize an event that is both memorable and informative. 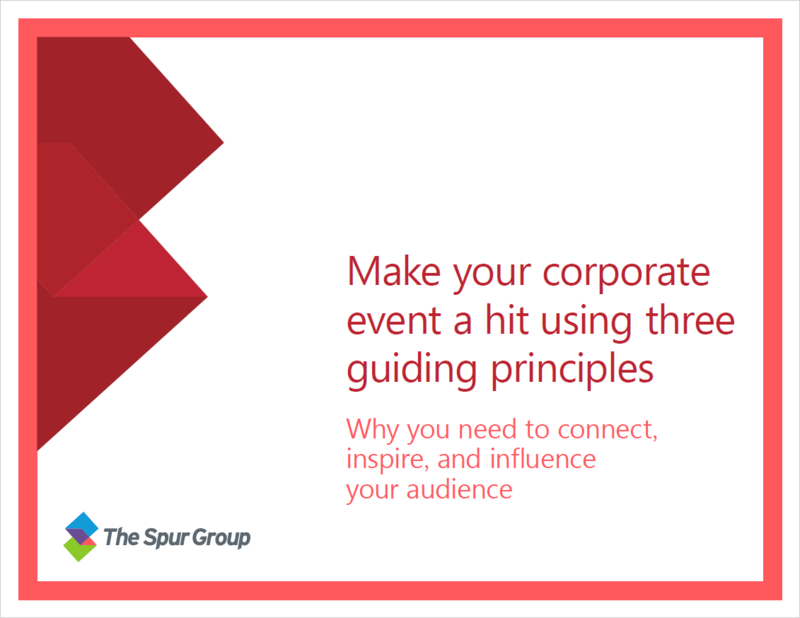 Hosting a successful event doesn't have to be your Achilles' heel when you take advantage of the decades of experience the connected communications specialists at The Spur Group boast. Download our eBook to start now. Download a free copy and never have an event fall flat again!